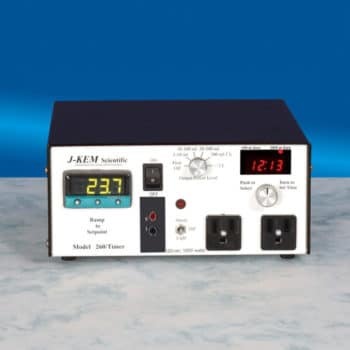 View cart “Handheld Meter & Data Logger” has been added to your cart. 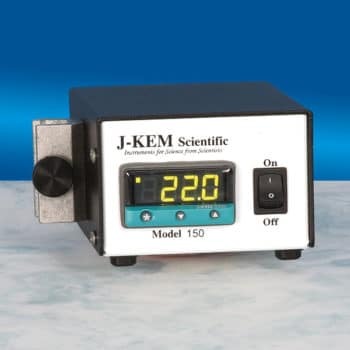 Two independent temperature controllers in a single cabinet to regulate two reactions at the same time. 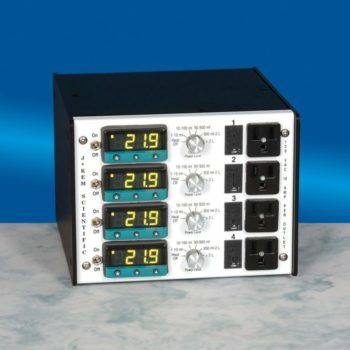 Each temperature control channel has a high power outlet and a 100-hour digital timer to turn heating OFF (or ON) at a user set time. 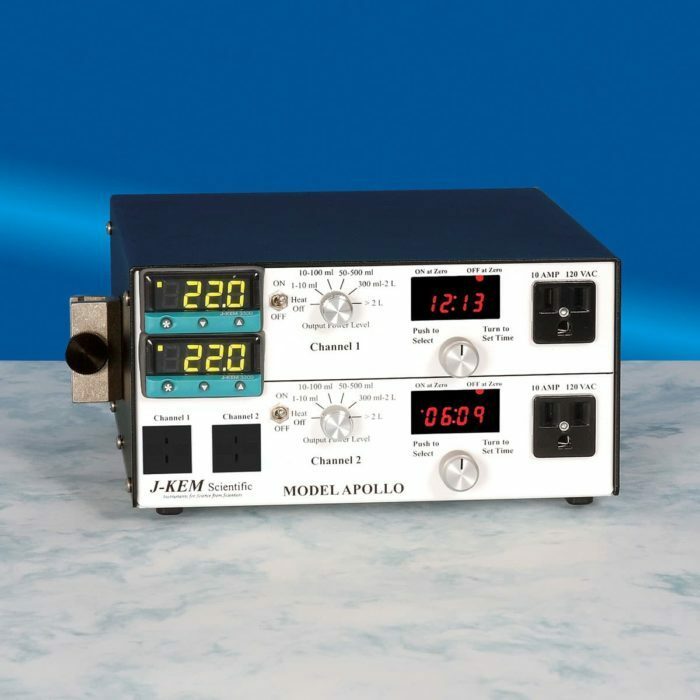 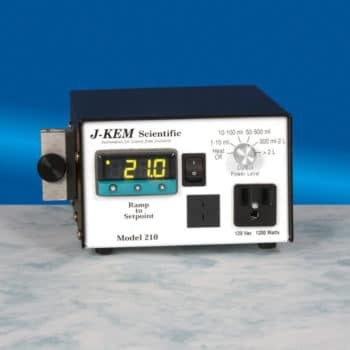 Complete system includes one controller, two Teflon thermocouples (12″ long, 1/8″ diameter), two connecting cords, and two 14/20 joint adapters.